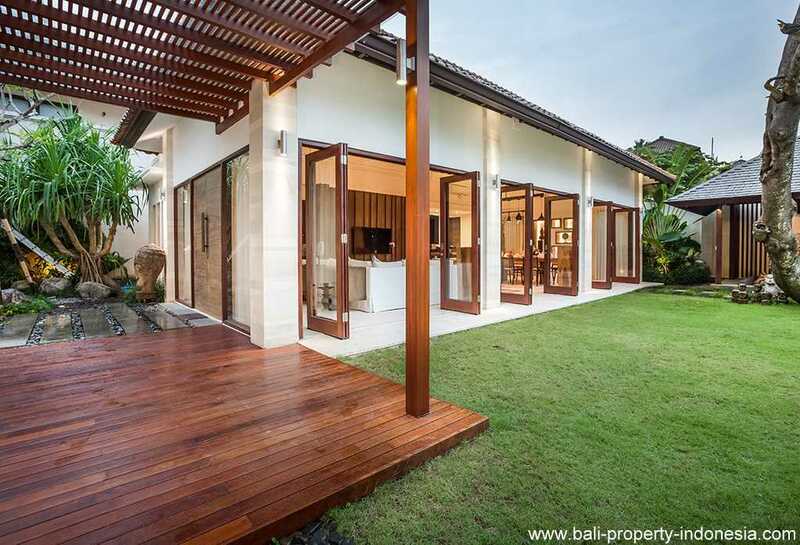 A modern designed villa with tropical charm. 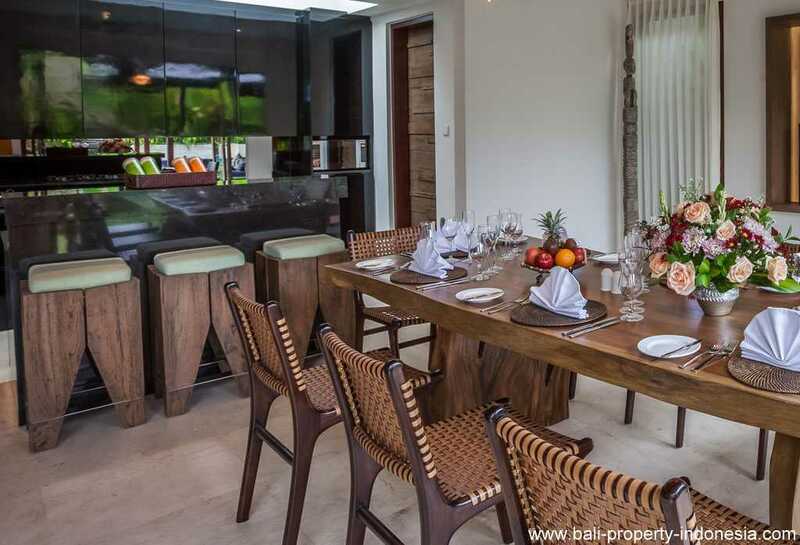 This four bedroom villa is located in a quiet street of bustling Seminyak. 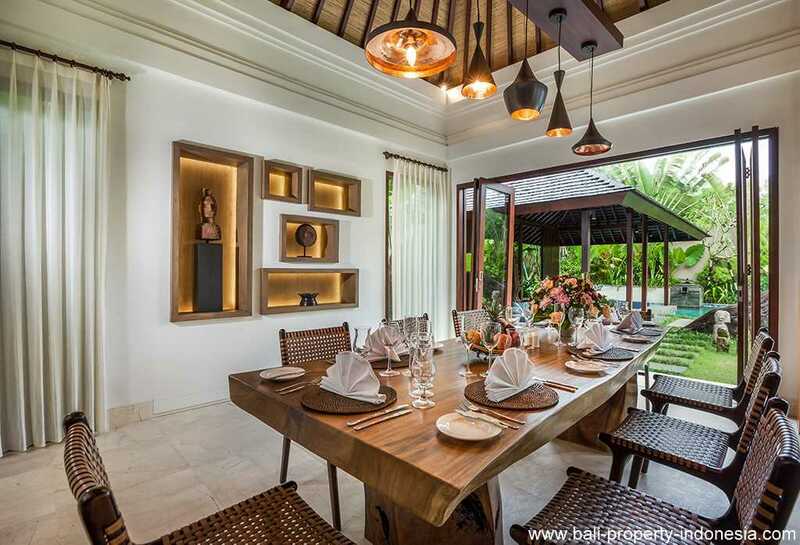 The restaurants, cafes, shopping and beaches that this popular village in south Bali has become well known for around the world, are only minutes away. A perfect place to live permanent or renting out the villa. 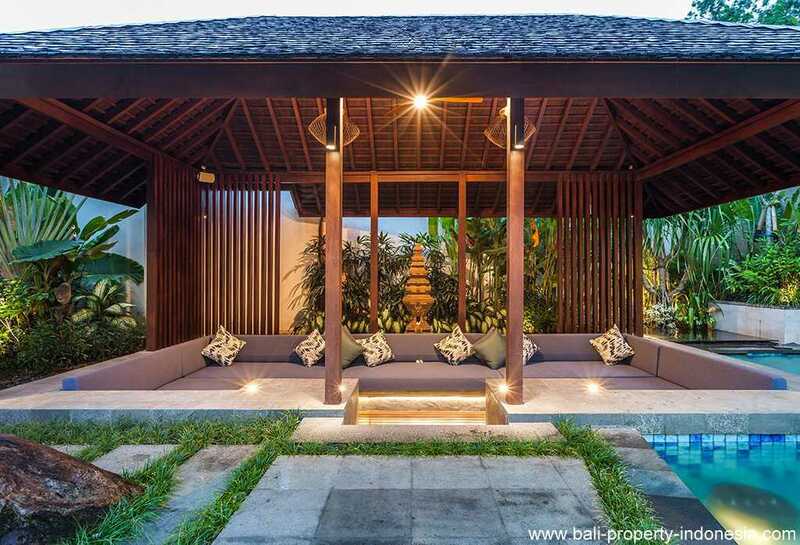 The villa’s contemporary design with landscaped garden pool area with soft sun lounge chairs and outdoor “Bale Bengong” (Balinese outdoor lounge) is ideal for families, groups of friends or couples. 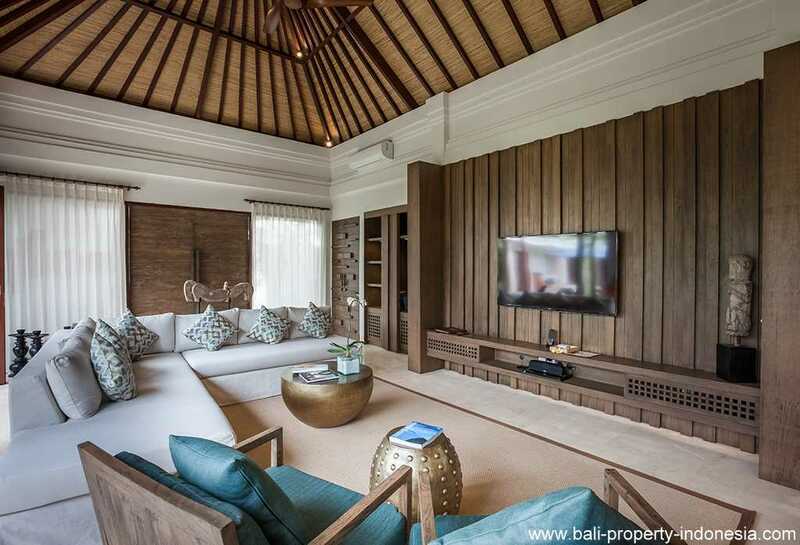 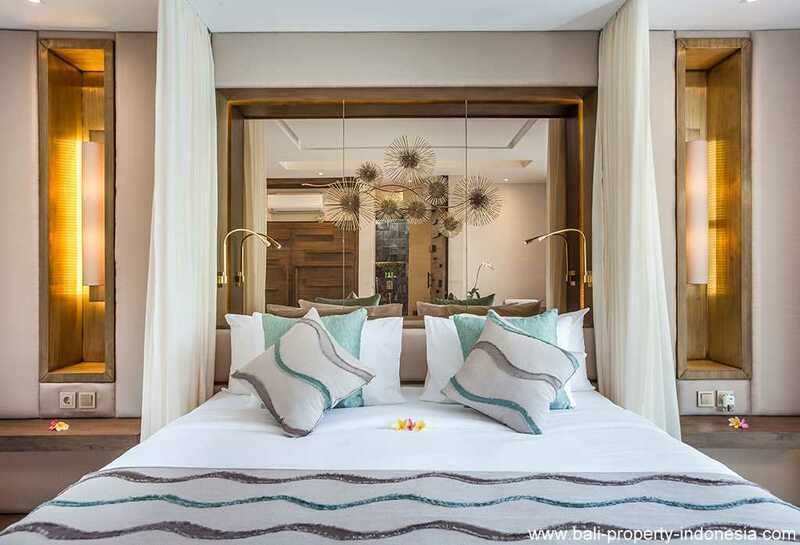 The villa gives the option of being either an open-air villa where you can enjoy tropical living, or you can close the wide folding glass doors, creating a seamless indoor/outdoor villa living experience where you can cool down with either fans or air conditioning. 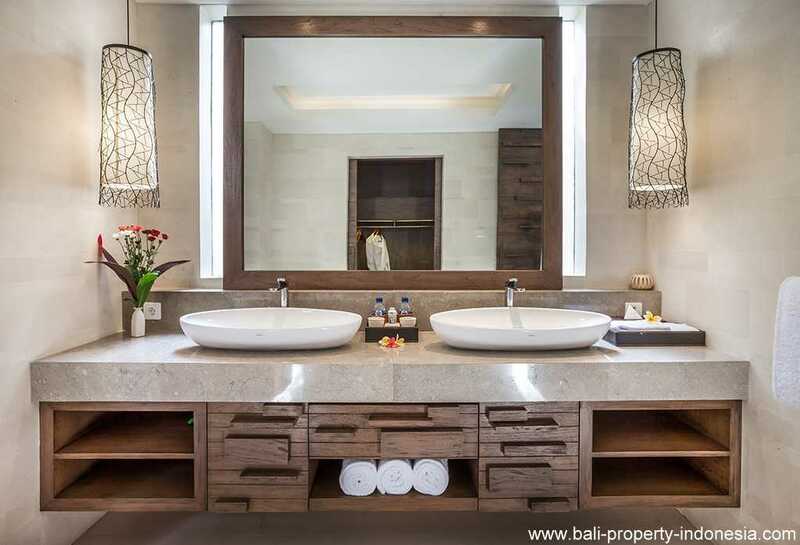 Each air-conditioned room has a private en-suite bathroom with double vanity units and large rain shower heads, completing the Bali tropical villa experience. 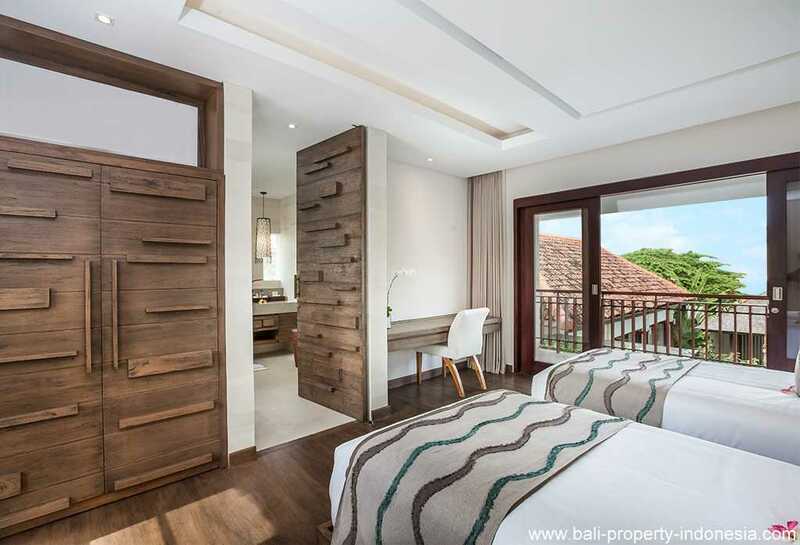 The Master bedroom also gives the chance to enjoy bathing under the sky day or night in a private corner of the indoor/outdoor bathroom. 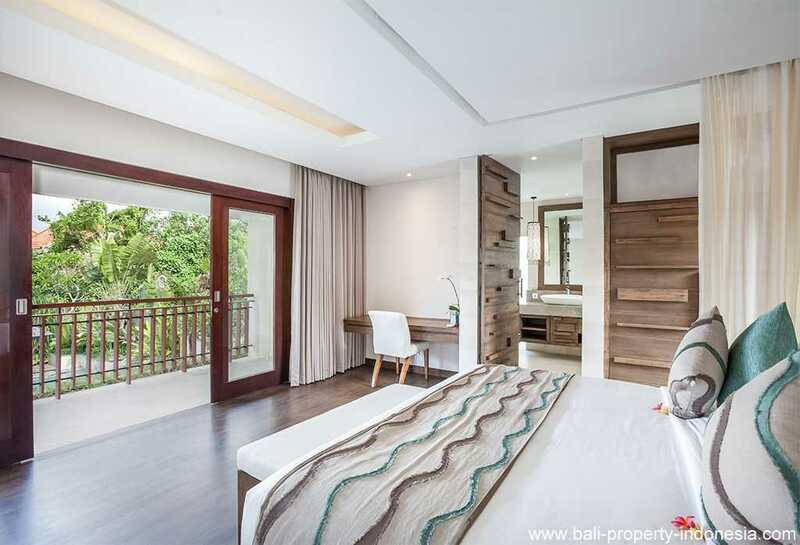 Adding to the special ambience of this villa, each bed is surrounded by hanging netting, invoking memories of colonial days. 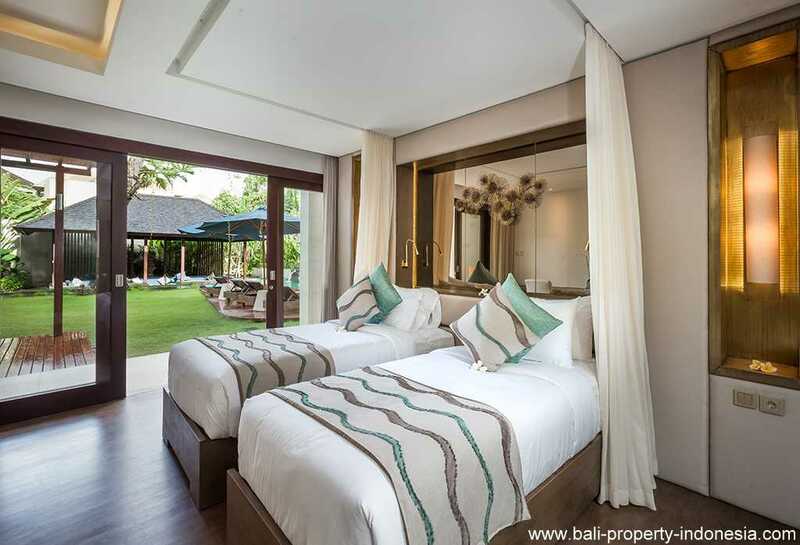 Two of the bedrooms can be converted into two single beds. 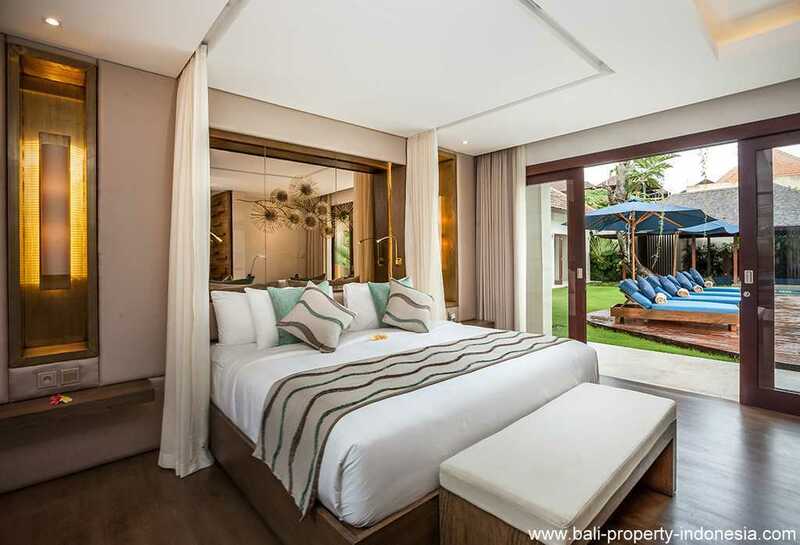 This high quality 4 bedroom villa is located in Seminyak, Bali's most well known district for its cosmopolitan range of cafe's and restaurants catering to every taste desire. 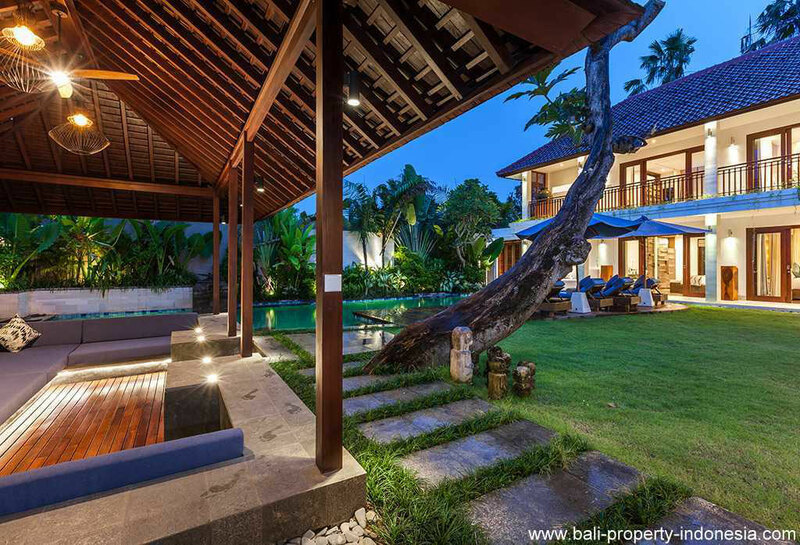 The villa is 25 minutes from the Bali airport. 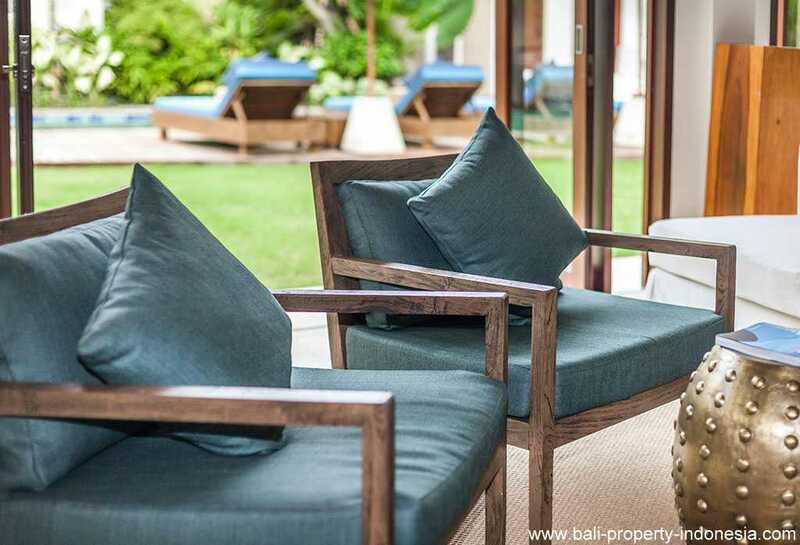 Within 1 kilometer of the villa, guests will find bars, coffee shops, spas, the Soham wellness center & gym, chic beachwear boutiques and much more. 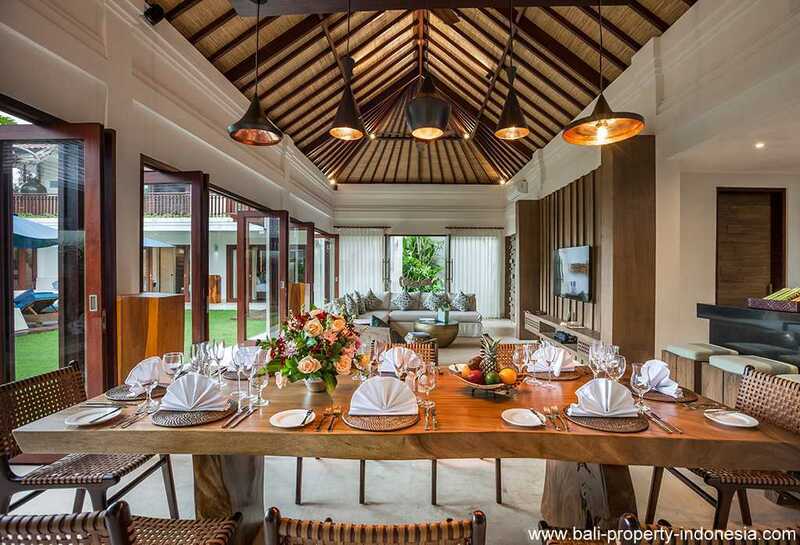 You are looking for a top property in a prime location, then make an appointment for this villa and we will be pleased to show you around. 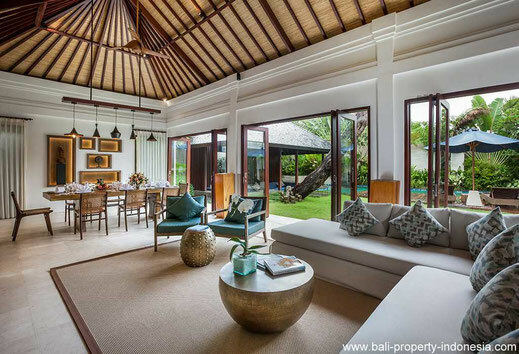 This villa is among the best you can find here in Bali.